It has not been so long when Switzerland used to be one of the best honeymoon destinations in the world. Most of the couples considered Switzerland on the top of their list of honeymoon destinations in the world. 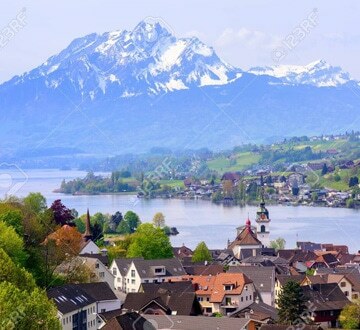 Nowadays, there are many more exotic top destinations in the world where you can plan to go but take a break and have a look at the best places to visit in Switzerland. It helps you to again consider upon your decision for visiting any other destination other than Switzerland. Because, after going through the list, you will surely replan your honeymoon trip. Zurich: It is the largest city in Switzerland and the most beautiful city as well. Though, it is in the list of business travelogue, but the newlywed couples also choose this city for their perfect honeymoon destinations. You can explore the exclusive churches of Grossmünster and Fraumünster and the luxurious streets for the purpose of shopping. St. Moritz: This is the mountain destination which is known for its beautiful glaciers and alpine forests. It is the chic resort town which has the beautiful lake St. Moritz. If you are fond of snow games then this destination is the best one for your honeymoon. During winters, you can enjoy skiing, snowboarding, hiking, biking and few more sports. Interlaken: It is the most beautiful scenic resort town which was once popular for watch making. It offers the amazing and spectacular views from three main Swiz mountains including the Monch, the Jungfrau and the Eiger. Local cuisines can be tasted in this town. This is the best location if you are looking for some romantic aura on your honeymoon trip.